If you have the budget London offers an endless supply of top quality restaurants offering incredible dining experiences. Private Dining in London has become increasingly popular with customers wanting it and more and more restaurants offering it. Many of the most renown restaurants in London offer extremely lavish private dining rooms you can hire exclusively for use whether it’s business or pleasure. There is often a high price per head on these tables as the decadent setting is equally met with opulent food and drinks, usually £100 plus. 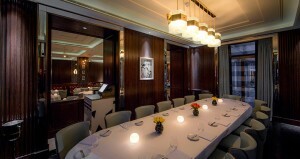 However with the tough competition among London restaurants there are venues offering private dining to suit all budgets. For a Central London restaurant location; Massala Hut in Kings Cross is the perfect place to enjoy a group dining experience, particularly if there is more than 10 of you. They run a special offer which brings dining under £20 per head and offer some amazing Indian Cuisine. A few highlights from the menu include Ginger Tandoori lamb Chop Massala, and the lemon rice which go together incredibly as well as being delicious in their own right! Second recommendation would have to be the Marcus Wareing Restaurant at the Berkeley. At the higher end of the budget this venue will not disappoint whatever the occasion! The Michelin Starred Venue is one of several from Marcus Wareing offering sophisticated fine dining dishes, in an opulent private dining room. Of course being located in a Hotel, you have the opportunity to dine and sleep at the venue. 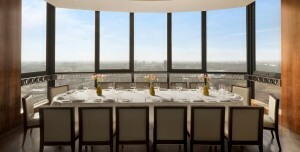 For something truly awe inspiring, Galvin at Windows, located on the 28th floor of the London Hilton on Park Lane, offers a semi private dining space situated in the large bay window area of the restaurant offering incredible views over Hyde Park, Park Lane, and West London. The sights coupled with incredible food make this a once in a life time dining experience that you will be desperate to do again! Word of advice; do not take anyone who suffers from vertigo!